Celebrating Our 35th Year of Business! 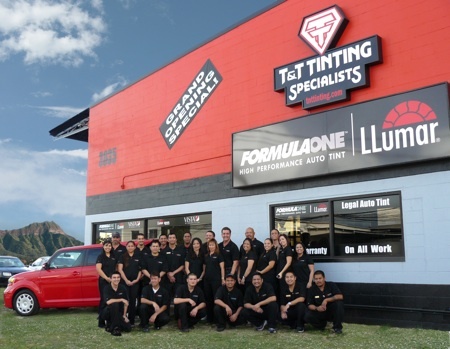 | T&T TINTING SPECIALISTS, INC. Celebrating Our 35th Year of Business! 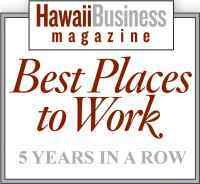 In our 35th year of business now, T&T Tinting's "Mega-Tint Shop" at 3035 Koapaka Street in the Honolulu Airport Industrial area is one of the most professional and technologically advanced window tinting installation shops in the Country and is also the largest Auto Tinting operation in the US by more than double! CEO Tommy Silva stated that there were several key reasons for the large upgrade of their flagship location, the main one being that they had literally outgrown the barely 3,000 square foot shop and office space at the former Costco Center in Salt Lake since expanding from only tinting automobile windows 35 years ago to now tinting windows on homes, commercial buildings, installing Security Films for hurricane, burglar and bomb blast protection, Paint Protection films on vehicles, Etched Glass Graphics, Auto Body Graphics and now Graffiti-Shield and C-Bond Systems that they just do not have the space to house all of these different divisions (See "Products" drop down tabs at the top of webpage for more info on all of these). "We need more space to continue our growth", says Silva-- "Hawaii's construction industry is booming and T&T is catching that boom wave", The products that we sell are proven to save our customers money, so we have been lucky to be holding a steady and strong growth pattern". 2017 looks to be another great year for T&T Tinting as they continue to grow and bring the latest in hi-tech "green" energy saving window film products to Hawaii for many years to come!